Bishop Speltz used the word “turbulent” to describe his early years in St. Cloud. The number of priests and parishioners peaked in the mid-1960s and began a steady decline during his tenure. During this time the diocese saw two years without ordinations and a sharp decline in baptisms. These years following the Second Vatican Council spurred unprecedented changes in the diocese: Several Catholic schools closed or were consolidated; parishes added Saturday night Masses and face-to-face confession; laity began to distribute Communion at Mass; parish councils were established; the role of permanent deacon was re-established from the early church; and St. John’s Prep opened its doors to female students. 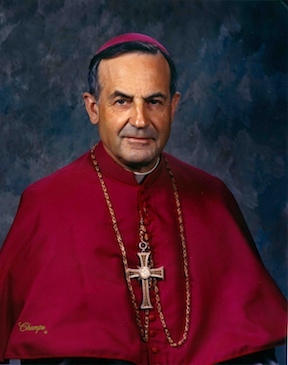 Bishop Speltz continued the social activism of his predecessor Bishop Busch. He promoted local and national affordable housing projects, banned the marriage of cohabiting couples, spoke out against abortion and lobbied for tax credits for Catholic school tuition. Prayer and outdoor adventures kept Bishop Speltz going through these turbulent times. He consistently prayed the Liturgy of the Hours and enjoyed hiking and fishing.